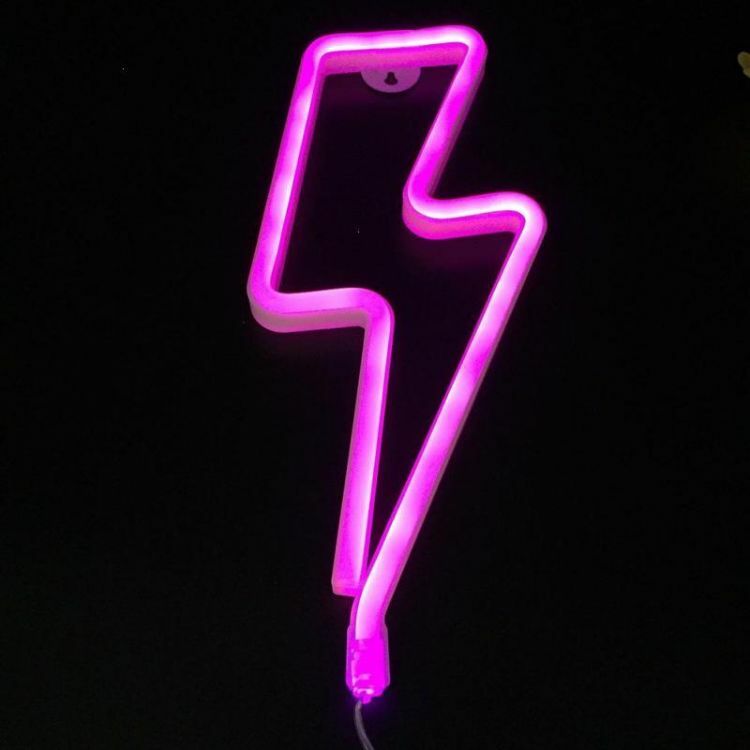 Neon Lighting Has Returned In A Big Way From The 1980's! Bring Some Color Into Your Life with these new 3D Neon Led Night Light's! They look amazing when a group of them are hung together. There unique design will draw all sorts of attention! Power: 3 x AA battery (battery not included) & USB power supply plug (included) You can use the battery, or you can use usb power, which is very convenient. Please note the "LOVE" neon signs only has one power supply; 3 x AA battery it does not have dual power supply.